Egon Dubsky lived with its wife Luise, née Bertoldi in 2, Heiliggeiststraße. He was owner of the company “Erste Tiroler Essig-, Sprit- und Likörfabrik, Branntweinbrennerei, Obstverwertungsindustrie Brüder Dubsky”, which had its business seat even there. There was a branch in 7, Seilergasse in Innsbrucks Old Town. During the night the operation in Heiliggeiststraße was devastated. 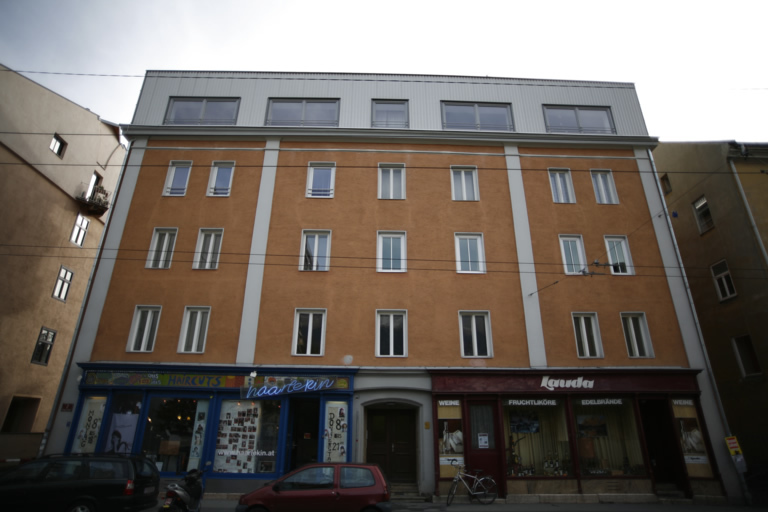 After a suicide attempt in October 1938 Egon Dubsky came into the welfare institute of Hall, 6km eastern of Innsbruck, from where he was kidnapped in May 1943 into the labour camp Reichenau, another quarter of Innsbruck. There he was shot on 2 June 1943 by the commandant Werner Hilliges.